Jonathan M. Abramson – Kissinger & Fellman, P.C. 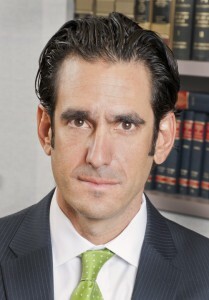 Jonathan M. Abramson is a partner at Kissinger & Fellman, P.C. He graduated in 1994 with a Bachelor of Arts from the University of Michigan, Ann Arbor and obtained his Juris Doctor from the University of Denver College of Law in 1996. Following several years as an associate attorney, Jonathan became a partner at the Firm in 2007. Jonathan’s civil practice focuses primarily on the representation of truck drivers and trucking companies in accident cases and the defense of law enforcement and municipalities in §1983 civil rights cases. Over his career, Jonathan has achieved successful results in defending trucking accident cases and §1983 civil rights cases ranging from low level injury cases to those involving catastrophic injuries or death. Jonathan’s career began as a federal and state criminal defense trial lawyer. Jonathan supervises the firm’s Criminal Defense Practice (for a complete listing please see our Criminal Defense page). Jonathan regularly appears in municipal, county, and district court in Colorado and the U.S. District Court for the District of Colorado. Jonathan has written publications for The Transportation Lawyer including Vicarious Liability and Negligence Law in October 2017, Discoverability and Admissibility of Preventability Determinations in July 2016, and Defending Criminal or Traffic Citations Issued to Commercial Drivers in October 2011; and for The Colorado Lawyer the articles Handling Criminal or Traffic Citations Issued to Commercial Driver, which was published in February 2011 and Challenging Federal Wiretaps in December 2005. Jonathan has also given presentations such as Preventability Determinations: Purpose, Discoverability and Admissibility, at the Transportation Lawyers Association, 2016 Annual Conference; Collateral Consequences Associated with Criminal or Traffic Citations Issued to Commercial Drivers, at the Colorado Motor Carriers Association Conference, March 20, 2013; Handling Criminal or Traffic Citations Issued to Commercial Drivers, at the Colorado Bar Association Continuing Legal Education Seminar, 2012; Truth or Consequences: Handling Ethical Dilemmas, at the Litigation Center’s Forum for Motor Carrier General Counsels, 2009 American Trucking Association Form for Motor Carrier General Counsel; Ethical Issues at the Scene of a Catastrophic Accident at the Transportation Lawyers Association, 2009 Chicago Regional Seminar and Recent Trends Involving the Law of Arrest, Search and Seizure at Lorman Business Center, Inc. in August 2006. Jonathan is a member of the Transportation Lawyers Association (Excutive Committee, At-Large Representative, Committee on Casualty Litigation, Co-Chair), the Trucking Industry Defense Association, Defense Research Institution (“DRI”), the Colorado Bar Association, Denver Bar Association, the Faculty of Federal Advocates, and the Colorado Criminal Defense Bar. In 2009, 2010, and 2011, Jonathan was recognized as a Rising Star by Law & Politics’ Colorado Super Lawyers, a list representing the top 5% of Colorado Attorneys. In 2016, 2017, and 2018, he was recognized as a Top Lawyer in Transportation Law by 5280 Magazine.